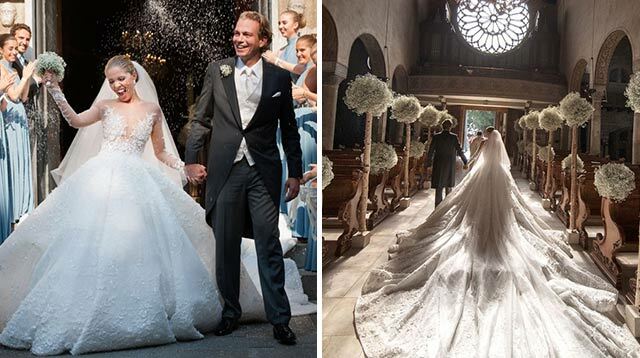 Everyone dreams of a fairy-tale wedding, but when Victoria Swarovski tied the knot with property developer Werner Mürz over the weekend, she actually looked like a princess. 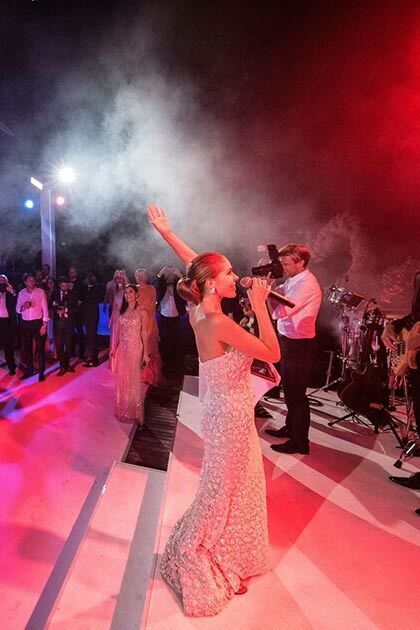 The 23-year-old Swarovski heiress married her partner of six years in front of 250 guests as part of a three-day wedding extravaganza in Italy—and the photos are total #WeddingGoals. 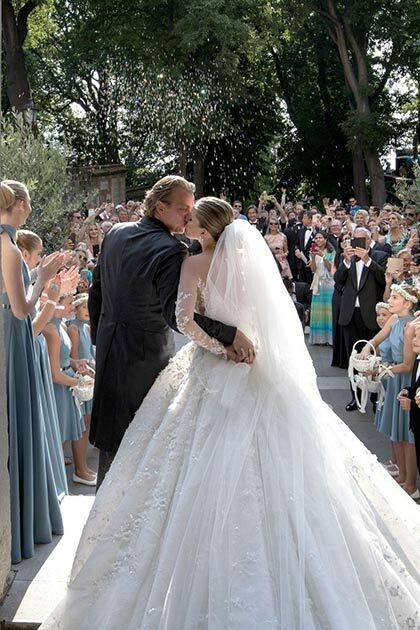 The centerpiece of the ceremony was Swarvoski's dress—a princess A-line style with laser-cut flowers, paillettes, and 500,000 Swarovski crystals, according to People. It also featured a full skirt and a sheer bodice with appliqués on the sleeves and neckline. 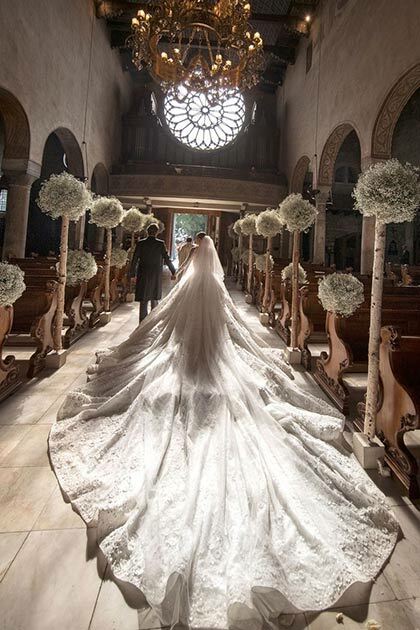 The bride designed the gown—which The Knot reports was valued at $1 million—with Dubai-based Filipino designer Michael Cinco, and she paired it with classic white Jimmy Choo heels from its bridal collection. The celebratory weekend kicked off with a red-and-white "pasta and love" dinner on the eve of the wedding where men sported white and women dressed in red. Swarovski wore a form-fitting red gown—also designed by Cinco—with a plunging neckline and voluminous train. 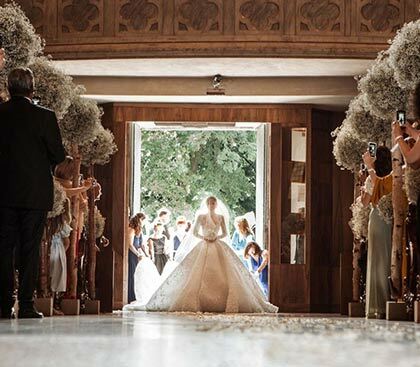 The next day, guests headed to the Cathedral of San Giusto in Trieste for the nuptials, where Swarovski channeled her inner Kate Middleton with a mesmerizing bridal train measuring nearly 20 feet long. The party continued at Hotel Falisia in Portopiccolo, where the couple cut into a five-tier cake and guests watched fireworks. Swarovski also changed to into a new sleeveless dress. Between the picturesque coastal views and country charm, the entire event will probably take over Pinterest boards everywhere in no time.